This post originally ran on CincyVoices, and was written by guest contributor James Heller-Jackson. With its eclectic mix of locally-owned businesses, the Northside neighborhood is already known as a prime Cincinnati food, retail and arts destination in the region. Empty storefronts that would also make great restaurants have remained largely empty because of the lack of liquor license availablity- until now. 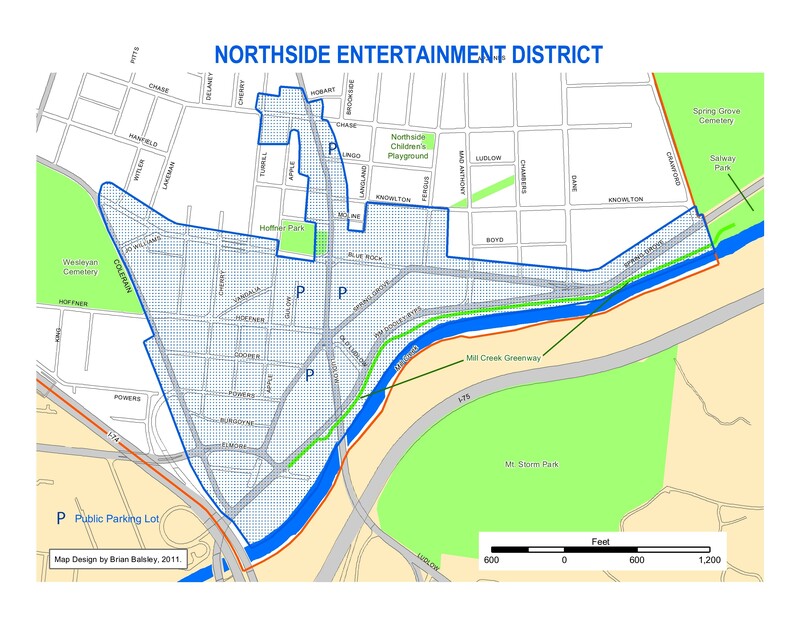 On February 29, the Cincinnati City Council voted to give Northside “Community Entertainment District” status after a unanimous vote the day before by City Council’s Livability Committee. The neighborhood joins Price Hill and Pleasant Ridge with CEDs. Once the designation is in place it allows new restaurants to open with a liquor license, thus reducing startup costs by an estimated $30,000. This is a huge win for Northside. For the last couple of years, Northside’s business district, while hanging in there in the midst of the biggest economic downturn since the Great Depression, has had to turn away small businesses wanting to open in the neighborhood, merely because of the lack of liquor licenses available and the premium $30,000-plus cost of the very few licenses that were available on the open market. The new designation changes that game. The Northside Community Entertainment District designation gives creative tools to the Northside neighborhood to enable new growth. Rather than a business having to reach out to a broker to maybe, just maybe, find a license at a relatively huge cost, a process that often takes years, they can now call the State of Ohio directly. In Northside’s new Community Entertainment District, up to 15 additional liquor licenses are immediately available to food establishments, all at a dramatically reduced cost of $1,500, and all directly available from the State with no outside brokers involved. These licenses are not transferable. If the business with the new license were to move out of the Northside district, they would forfeit that license. These licenses are not available to a business that only wants to open a bar; these are licenses that are available only to food establishments. This is helpful for Northside and small businesses. The original 2005 Community Entertainment District legislation was not initially geared towards anything but for-profit developers to obtain. Last year, the not-for-profit Pleasant Ridge Development Corporation could not the CED’s original application fee of $15,000. Many thanks go to Cincinnati City Councilmember Laure Quinlivan, who worked hard to change the Cincinnati municipal code to make the fee downwardly flexible, thus opening the possibility of designation to not-for-profits. 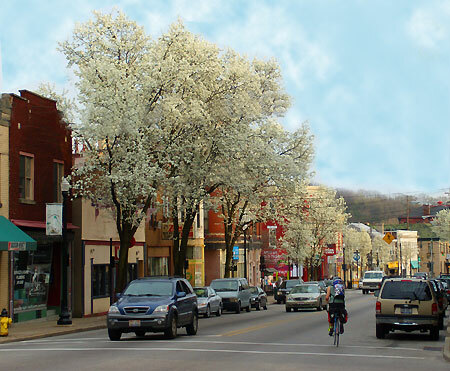 This change to the fee structure allowed Pleasant Ridge to apply for the status without outside funding, making Pleasant Ridge the first Cincinnati neighborhood to apply for and win the designation. Already, Pleasant Ridge has new businesses that wouldn’t be there if not for that designation. As well, the neighborhood of Price Hill recently won CED status, and several new businesses have either already opened or they are about to open. So far, the two neighborhoods that have won the designations have benefited immensely. 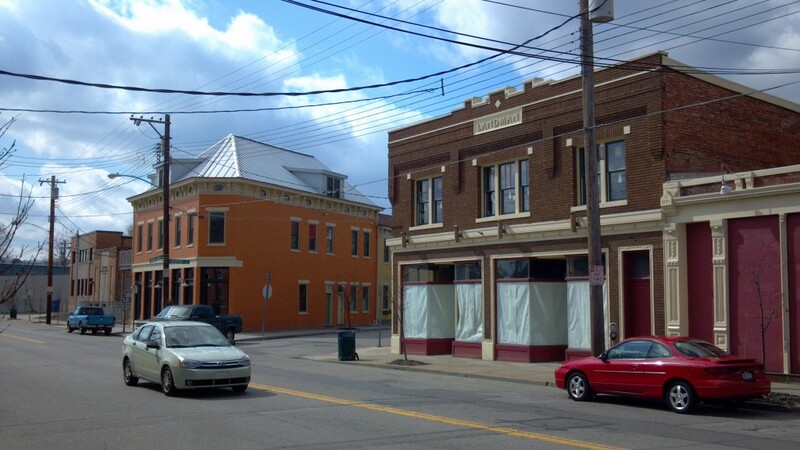 Over-the-Rhine, Madisonville and Westwood have also applied for Community Entertainment District status but have not yet received it. Northside’s new Community Entertainment District covers not just the traditional business district, it also targets a wide area south of Blue Rock Street. The Northside Business Association (NBA) first started working with Laure Quinlivan’s city council office early last year after hearing of the possibility of Northside applying for and winning this important designation; the designation would not have been possible without Laure and her staff’s efforts. Also, Berding Surveying needs to be thanked, as they donated their services to the effort to produce the required survey and map. Once Northside’s required application package was completed, as a matter of transparency, the plan was presented at open Northside Community Council and Northside Business Association public meetings for comment. Community support was widespread, and the package was sent along to the city council’s Livability Committee for consideration. Northside’s “South Block”, along Spring Grove Avenue, is ripe for redevelopment. The Landman Building, right, was recently stabilized and environmentally remediated and is ready for build-out. The building just to the left is now a LEED Silver building with several newly-occupied residential and business condos. The new district covers much of the existing Northside business district along Hamilton Avenue from the Ludlow Viaduct in the south to just below the Northside Library in the north. In the southern end of the district, Blue Rock Street and Spring Grove Avenue are both included, roughly from Colerain Avenue on the west side, to Crawford Avenue on the east. There are currently a lot of existing empty storefronts and industrial spaces in the new entertainment district’s map. Residents and small business owners in the area would love to see that change. Imagine once-forlorn Northside blocks now teeming with urban life. By enabling these new licenses, the hope is to see more development in the district. This new development will include not only the new food establishments benefiting from the designation, but additional retail, arts, office and residential spaces, all serving to increase the vibrancy, diversity and uniqueness of all that is Northside. James Heller-Jackson is a Northside resident and a member of the board for both the Northside Business Association and Northside Community Council. Pictures provided by the Northside Business Association.